LOS ANGELES, CA, August 17, 2017 /24-7PressRelease/ -- The true wild nature of la-la land is revealed in the new original spoof video, PLANET EARTH: HOLLYWOOD. Premiering online today, the parody comes from rising creative team ShowFriends and delivers a fresh send-up of the award-winning BBC nature series Planet Earth. After exploring remote deserts, rainforests and mountains, the latest installment in the famed docu-series takes an in-depth look at the urban jungle that is Hollywood. PLANET EARTH: HOLLYWOOD turns the cameras on one of the most diverse and misunderstood species in this town of tinsel -- the Actor. Watch never before captured footage of how these strange and bizarre creatures interact, adapt and ultimately defend their territories. Written by Michael Cotter (Inherent Vice, Baby Daddy) and Jeff Witzke (Henry Danger, Up In The Air), who star and produce alongside Tammy Dahlstrom (Silicon Valley, Life In Pieces) and Laura Niemi (This Is Us, Veep) under their ShowFriends banner. The project was directed by Dane Wagner; with Special Guests: Kristen Ariza, Beth Crosby, Caroline Fogarty, Ren Hanami, Cameron Kelly, Kelli Kirkland Powers, Blake Silver & Scott Subiono. ShowFriends is a creative collaboration of friends who have banded together to create, debate and generate original comedy content. Their distinctive style delivers a satirical examination of key social issues, often poking fun at the entertainment industry itself. ShowFriends continues to gain fans and attention for their satirical videos, most recently for showcasing experts teaching wanna-be's how to sit in MasterClass: Seat Fillers. Their videos include the parody of the popular political drama, The West Wing: Trump Years, the sarcastic look at hot button issue of diversity in Showcase: One Network's Search For White Diversity, and a satirical examination of getting hired in 'the biz' with the short-run sketch series WHAT IF...People Interviewed For Jobs Like Actors?. 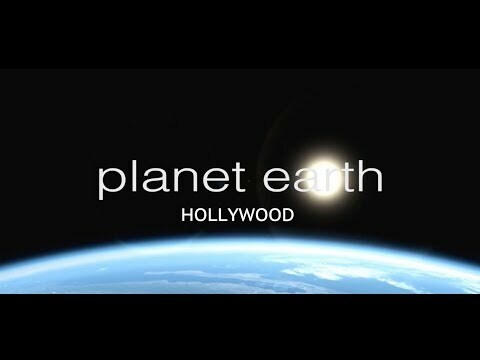 The true wild nature of la-la land is revealed in 'PLANET EARTH: HOLLYWOOD', a new original spoof video of the award-winning BBC nature series 'Planet Earth' from ShowFriends.